April 17 -> Arrive in Kastela, Croatia. Relax, unwind, get a good night sleep. April 18 -> In the morning we will do yoga then head to Split for a walking tour and lunch. We will then depart to Hvar island by ferry, then head to Basina and check into our air bnb. We will have a lovely dinner over looking the ocean. April 23 -> We will depart back to Split on the ferry then we will take a bus to Dubrovnik and check into our air bnb. 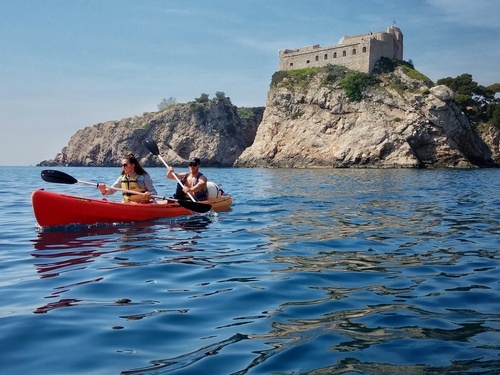 April 24-26 -> Plenty of time to see all the amazing sights of Dubrovnik (where King's Landing of Game of Thrones was filmed). We have beautiful huge terrace over looking the sea at our air bnb to practice yoga on daily or we also have an amazing spot to practice on down on the beach near by.